Lifting my eyes…Why do we close our eyes when we pray? Do you? The author of psalm 121 is lifting his eyes up towards the mountains. Do you think he has his eyes closed? Does it matter? When this 51 year old body hops on the back of our Harley, and believe me, hopping is an understatement. It’s more like a lunging balancing act, praying every bone in my legs will make it over the seat. It’s not a pretty sight, but it is what it is. Once the helmet is strapped, I’m situated on the back, and give my husband the “thumbs-up” then we’re ready to pull out. Most often, we avoid the busy highway and take the scenic route to wherever we are going. As soon as we’re on those back roads I look up towards the clouds. I take in a deep breath and thank God for that moment. I lift my eyes towards the mountains and know that my “all” comes from God. I begin to allow my shoulders to drop and I begin to bask in HIS glory. Many of you would never get onto the back of a motorcycle and would find this hard to enjoy and relax. I happen to love it. There are times that I raise my arms, feel the wind and let go and let God. I remind myself that the LORD protects me; the LORD is a shelter right by my side. The sun will not strike me by day or the moon by night. Vs 5, 6. Last year when we came home from a long ride was when I first noticed that something was wrong with me physically. My legs were swollen like over sized water balloons and I thought for sure it must have been because I was in one position for so long. Here I am a year later, diagnosed with a kidney disease. It has taken me down more days than not, but I will not give up the fight for 100% health and I will not forget that MY GOD will protect me from harm; He will protect my life. The LORD will protect my coming and going both now and forever. Vs 7, 8. Dear friends, what do you do in times of fear? What do you do in times of doubt? What do you do when all you can do is look up? Are you seeing Jesus? Do you truly know that your help comes from God the Maker of heaven and earth? I am learning that more and more each day and I truly learn to trust in His plan. It is nothing like what I thought it would be, but it’s our plan. We’re working on it together. Thank you for the many blessings that I have. I pray today that if there is someone who is dealing with depression/anxiety or fear of the unknown, that you would remind them that you are right there by their side. I pray that you would help those who have lost so much in the Oklahoma Tornado’s and for those who have lost loved ones in the Boston area. May we continue to look up!!! With it being May, the big graduation month, I can’t help but reminisce over each one of my children’s’ graduations of past years. Each one was so different and unique and each one brought tears to my eyes. Now this Empty-Nest-Mom is feeling all sorts of emotions. Being without kids in the home is an amazing, freeing, terrible and lonely time in life. I struggle with balancing those emotions some days. I am finally at the point in my life where I can re-discover my likes and dislikes, my dreams and most importantly I can fully develop my relationship with the LORD. I think one of the hardest things for me is breaking out of my habits and past schedule. Now, in my life, I can eat outside the time-frame of breakfast at 7:00 a.m.; lunch at noon and dinner at 5:30 p.m. I can eat cereal for dinner and I can throw a small load of laundry in any time of the day. I don’t have to wait to get my list of things done around naps (unless it’s my own) soccer games, equestrian events and 4H meetings. It’s my time now. So, if it’s my time, why is this so hard to do? Then it came to me; I am trying to rearrange 18+ years of doing life one way to adjusting to my new life over night. That is an unrealistic goal. It takes time. Suddenly, within a blink of an eye, I am stricken with an empty home; time to myself and I’m not sure what to do with it. Suddenly my laundry is not piling up, my dishes aren’t overflowing and I’m not squelching arguments. Tears are shed; I don’t know how to nurture myself, physically, spiritually and emotionally. Why are the tears flowing? Plain and simple; I miss them and its okay. But…then I realize, I have to let them go. It’s the circle of life. They have to become independent taxpaying citizens…doing what God has called them to do. I choose to give the tears this day over to God because our God in heaven knows exactly how I feel; He gave up His one and only son who died for the sins of the world. Suddenly I’m better. Please don’t ever feel that these feelings are stupid or that no one knows what you’re going through. God does! Remember He sent HIS only son. Let’s cope together. What do you do to get through those tearful moments? I journal and I chronicle my thoughts then I read the Bible. I spend time with friends and cherish time with family. I love those BBQ’s and grandchildren events. I am amazed when I hang up the phone with one of my kids and look down to see that we had been chatting for over an hour. I really love when my husband & I can hop on our motorcycle and go for the day without thinking about what the kids are doing at home. But some days the old ways of thinking still creeps into my brain and I realize that you never really stop being a parent. Summer is upon us; kids will be home from school. Take the time to enjoy them. Embrace the large loads of laundry, the endless sweeping of the kitchen floor and constant trips to the pool. Go to the T-ball games with a smile on your face and water bottle in hand. Slather them with sun block over and over again because within a blink of an eye, they will be gone. I know that’s a cliché, but it’s true. Proverbs 22:6 Train up a child in the way he should go, Even when he is old and he will not depart from it. I was out running some errands the other day and was dealing with a little anxiety. The anxiety was coming from my very long “to-do” list that I created and getting every item checked off before I had to head into work. I was driving myself crazy. Do you ever do that? Do you ever cram so much onto your list that it becomes unreasonable? Much of this is coming from the fact that I have a little more energy these days so I’m soaking it up. But sometimes I soak a little too hard. So, when I was running errands, zipping in and out of stores and answering my cell phone in between, I was getting overwhelmed. When I am out and about taking my time, I will park the furthest from the store door so that I can get a little extra walk in, but not this day. I was heading for the closest spot so that I could get it ALL done before having to head into work. I pulled into the Target parking lot and went to zip into the only close spot when a woman zipped right into it before me. I was angry. I was looking down at my clock thinking I only had 22 minutes to get in and out of the store. How dare she take MY spot. OMG, I have she just stole that spot; who does she think she is? I am ashamed to admit that there were much worse thoughts going through my head. I zoomed down the parking lot, took the only available spot which was way at the far end of the parking lot. As I pulled in and shoved open my door, God caught my attention. 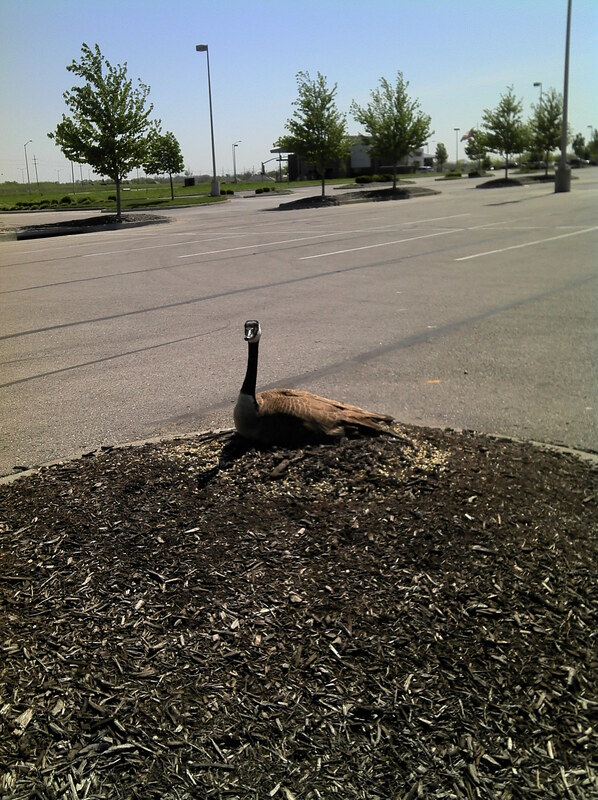 There in the busy city Target parking lot was a goose sitting on a nest. She had taken the mulch and made herself a nest and was resting on it. Again, this was in the middle of a busy shopping parking lot. There were no trees, no bushes, just a pile of dried up brown mulch. Of all places, she chose to settle herself down. I just stood there, took a few pictures and totally forgot my mission. I forgot my “to-do” list and took in the stillness of that moment. I leaned up against my car; I let my head slump down and apologized to God. I was so caught up in my agenda that I didn’t see HIM in my day at all until that moment. He showed me that I needed to slow down and chill and ask for forgiveness for the undeserving thoughts I had earlier about that woman. We can encounter the inescapable presence of God if we take the time for God. How do we respond when life doesn’t conform to the way we think it ought to? I thought that parking spot was mine! At that moment I not only asked for forgiveness, I threw my list back into the car and just took a few deep breaths and allowed God to examine my heart. Psalm 139:105…Lord, You have searched me and known me. You know when I sit down and when I stand up; You understand my thoughts from far away. You observe my TRAVELS and my rest; You are aware of all of my ways. Before a word is on my tongue, You know all about it, LORD You have encircled me; You have placed Your hand on me. I love this scripture because it reminds me of how much God loves me and how He is watching my every move. Yes, that can be a little intimidating but it is much more comforting to me knowing that HE can take my crazy day, plunk a goose into it and slow me down. He can turn my chaos into stillness and awareness. 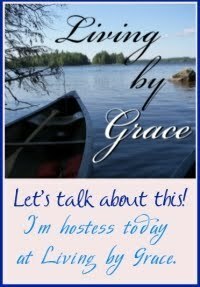 Have you had any experiences lately where God just plunked a goose in your day? I’d love to hear about it and how you responded. Join us as we discuss how much God wants us to be in focus with Him. Don’t forget to call mom. Don’t forget that card. 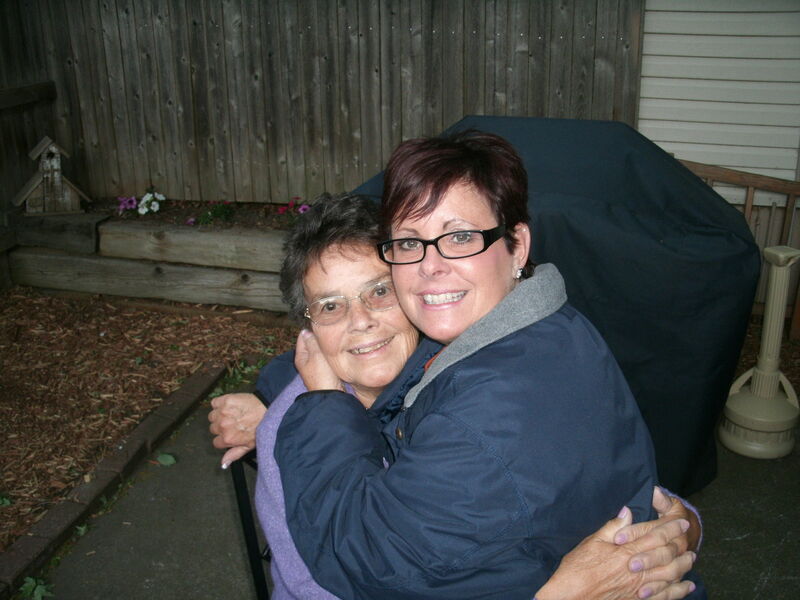 Don’t forget to say “I love you.” If your mom has passed away, take a moment to remember all of the good times and conversations. If you don’t have much of a relationship with your mom, don’t forget to forgive her. Below is a poem I wrote many years ago. I pray that all of you who are mothers have a blessed Mother’s Day. Will find peace, joy and warmth inside. Ensuring her in His path, He leads. What do you think about the Bible? Is it a book to go along with the children’s song “The B-I-B-L-E”? Is it your manual for righteous living? Is it just a bunch of historical stories that you can’t relate to? Or, is it like the necessities of life itself…eating bread and drinking water? Years ago I was so disciplined with my Bible reading and journaling time. 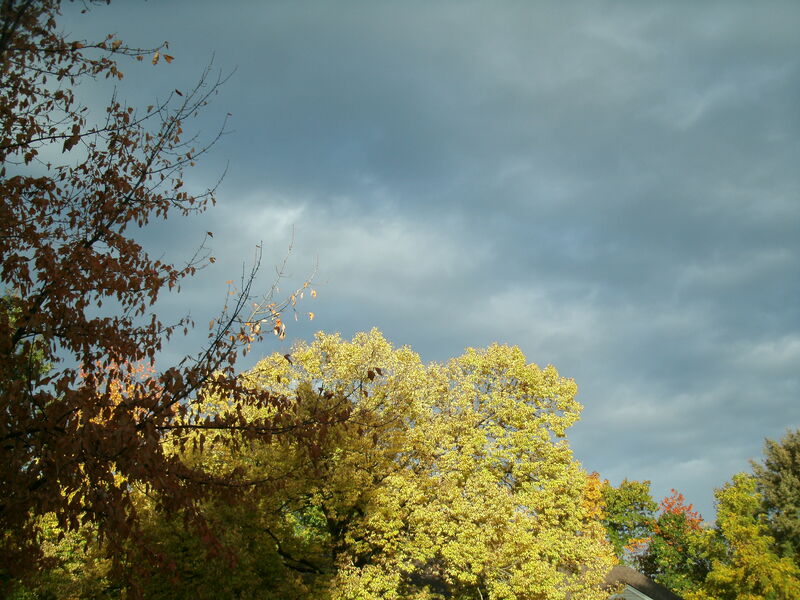 I would wake up at 5:00 a.m. before my children would stir and sit either by the warm wood burning stove or on the outside deck where I could feel the spring breeze. There I would delve into the Word and not stop until my kids were tugging at my jammies demanding breakfast. I could not get enough of it. And the list goes on and on. However struggling with my circumstances has caused me to reflect and see God more and in my most recent health “crisis” I’ve been forced to slow down and be with HIM. Slowing down is not my forte’. What does “be with Him mean”? It’s sitting at His feet with the Bible, with my notebook and with my heart open. Sometimes it’s not at 5:00 a.m. but rather 2:00 p.m. when my mind is clear. Sometimes it is at bedtime when I just want to relax in Him and there are still some days where it is at 5:00 a.m. with my coffee. Whatever the time may be, I’m there!!! I am so thankful that my recent health is causing me to partake in my bread and water time with the Savior. I am so thankful that I am able to lay low and follow what is next with Him. When I am feasting on the Word of God, it is clearly the sweetest, happiest time of day. I can get full without fats and calories. YES!!! 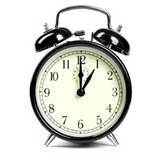 God is using this time in my life in remarkable ways; ways in which I never thought I’d see again. I hosted a Women’s Bible study in my home today. There were 13 present and we sang praises and studied together. I have not done that since I left my farm. Oh Jesus thank you. I love to entertain and it’s high time I do it to glorify you. I am taking the time to really pray for others and am sending those encouraging notes that I used to send. I am reading scripture and personalizing it again and I am trying my hardest to turn my negatives into positives. Most days I look up and say, “God, I give up. Take my life if you want me, and show me what that means today, because I am clueless.” Before I know it, I’m deep into the word, circling words, highlighting passages and crying over His love for me. And, all of this is by His design. I am just a willing servant and am blessed to be able to be so. Find your bread and water time. Feast on His Word; let it fill you. This is the day that the Lord has made, let us rejoice and be glad in it. I talk to my soul every day and this is what I am repeating as soon as I put my leg over the bed in the morning. Let me rejoice and be glad it in. How many times do we question what we are doing only to find out that it happened for a reason? Sometimes we are able to see why it happened and sometimes not. Well today is a perfect example of me seeing it. I had a couple of precious gals come to my home this morning for coffee. We do this every so often just to visit and show our love and support for each other. My friend asked me if I would like to go to go do what I call, ministry work and before waking up today I was all about it. That story changed though because once I woke up, I didn’t know why at the time, I just felt I needed to stay home. I needed rest. In choosing to stay home I of course beat myself up. I allowed Satan to say things like, “Beth, it’s not about you. You need to go.” We are often told it’s about our service instead of our rest. Don’t get me wrong, there are times that I love to serve and there are times that I need to rest and today is one of those days where I need to take in the sun, the Word and the quiet. This afternoon I went out to my driveway to get something from my car when a neighbor came out. I wanted to invite her to my little gathering this morning but didn’t have her phone number. I know she has had some really hard challenges lately. In visiting with her, I invited her to Bible Study tomorrow and she accepted. It’s not by anything I did but rather by how God orchestrated it. I didn’t need to beat myself up about not going with my friend on ministry work. I just needed to rest in what God was allowing to happen to my body today to make me want to stay home. If I had gone, I would not have taken the time to invite this neighbor who is very dear to my heart. God has been calling me to rest and follow Him. “The Lord your God will give you rest by giving you this land.” When God calls us to rest, it doesn’t mean that we have to beat ourselves up and feel we are not doing something for Him. I sometimes put myself on the other side of the cross-before Jesus lived, died, and rose again, before God gave us the Holy Spirit as our Comforter. Because of that, I know I have eternal rest waiting for me when I go home but for now I also have rest, right here in my home and on this land. May I leave you with the following scripture? This is for my sisters who are struggling with depression, anxiety, cancer, and loss of a loved-one. This is for my beautiful kids who struggle with day to day junk; I love you and always pray for you. “Come to me, all you who are weary and burdened and I will give you rest. Oh sweet Jesus, I come to you in prayer for those who are hurting. There is so much in our world that can bring us down. I am so thankful today for the sunshine, the birds singing, the rest that you are calling me to. I adore You. Amen. Today I feel…Well, let’s break it down hour by hour. This afternoon I feel better than when I first woke up at 5:20 this morning with major anxiety. What was the cause? I have no idea. I think it had to do with my scheduled doctor’s appointment at 10:15. It seems that every time I have to go to the doctor I develop anxiety. I was never like that but I am now. It’s because I have had nothing but bad news for over a year when going to my doctors. My cholesterol has been sky-high; my blood pressure has been high, I have had kidney issues, skin issues, heart burn, Celiac, major headaches, asthma, allergies etc. Today, after an EKG, Chest X-Ray, Blood pressure check, and urine test…Things are getting better. I’ll take it. I am heading in the right direction. It’s a slow process, but at least I have some positive news. Staying calm is the goal of my life so that my anxiety does not irritate anything. However, staying calm is a practice. I don’t do it naturally. It’s hard work for me. I am the one who applied lipstick during an approaching tornado. My heart has been so heavy for so long that I just want to reach into my chest and pump it the way it needs to be pumped. It’s either beating too fast or too slow. But…it’s beating. I think about the scripture in Matthew 6:9-13. “Your kingdom come. Your will be done, on earth as it is in heaven.” Not only do we have the privilege to call upon God, but we can also invite His “kingdom” to take root in our lives. That’s what I want. I want God’s Kingdom to take root and grow every day, every hour of every day in my life. So why do I allow this panic to ruminate in my life? It has no place in my body, mind and spirit, nor does it have any authority over your life as well. Oh Lord, let my ears be open to hear what You have to say. Bring friends and family around me that will encourage me. Help me to be a good listener to those around me who are hurting as well. I know that there are days where I am going to have disappointments especially on this “health” journey but it does not mean that YOU don’t love me. It doesn’t mean that YOU are punishing me. YOUR desire is that I profit from the hard circumstances, and that YOU want what is best for me. Help me to remember that God because how easily I can forget. Today I am encouraged about my health; tomorrow may be a different story. BUT, God will not change. He will be Sovereign and reassure me that even in the letdowns of life, I can come to HIM. When disappointment comes, will you be derailed pulling you away from the plans that God has for you? Will you curl up in a ball or will you allow HIM to pull you out of the dark rut? My husband and I woke up this morning with an agenda and boy did God change it quickly. We are under a considerable amount of stress right now. My husband has been out of work for two weeks. My health has not been great and our finances have been really bad. Our house has been on the market, just sold and now we have to be out in three weeks. But through it all, we have been praying together while in this desert to be smack dab in the middle of God’s will. We woke up today ready to take off for a couple of hours this morning because the home inspection was being done and we were instructed not be present. We were going to go get some boxes, pick up a couple of staples to kill a few hours. We again asked God this morning to just meet our needs and right after that simple prayer, the phone rang. God did something sooooooooo FANTASTIC. He gave my husband the opportunity to earn some extra money today through a phone call from our son-n-law. Thank you LORD. The agenda has been changed. I’m sharing our praises with you while my husband is earning extra money. I can’t stop praising God; I have to share HIS love for us. It’s just when our faith is getting a little shaken when God shows up. He reminds us that HE is in control and we just have to trust. Folks, this is the same God that spoke to Abraham. “Abraham!” And he said, “Take your son, your only son Isaac, whom you love, and go to the land of Moriah, and offer him there as a burnt offering on one of the mountains of which I shall tell you.” When they came to the place of which God had told him, Abraham built the altar there and laid the wood in order and bound Isaac his son and laid him on the altar, on top of the wood. Can you imagine? Just picture yourself, at that altar with one of your children. I was just being asked to trust God in my finances and I was breaking down. Just as Abraham reached down to get his knife to slaughter his son, the angel of the LORD called to him from heaven and said, “Abraham, Abraham!” Abraham listened and the angel of the LORD said, “Do not lay your hand on the boy or do anything to him, for now I know that you fear God, seeing you have not withheld your son, your only son, from me.” Abraham saw the ram that was to be offered as a burnt offering instead of his son. I love the next part…Abraham called the name of that place, “The LORD will provide”; as it is said to this day, “On the mount of the LORD it shall be provided.” To me, this is the ultimate test of faith. I have had lots of testing’s in my journey but I have never been tested to this magnitude. We are on that mount folks. God will provide no matter where we are, if we trust. I am so thankful that God’s ways are so much higher than mine and that I can always trust in HIM. I may not like part of the journey as I’m trekking up the mountain like Abraham, but I am thankful that He knows the plans He has for me, and I can trust in HIM. 1 For I know the plans I have for you,” declares the LORD, “plans to prosper you and not to harm you, plans to give you hope and a future. Jeremiah 29:11. What kind of testing is going on in your life? Is your health in bad shape? Are you struggling with your finances? Is a loved one sick or have you lost a loved one? Are you without a job? Are you at odds with a friend or family member? Oh sweet friend, know that you can put your trust in God to take you through this journey. Believe me, I have had all sorts of testing’s. I have had miscarriages; struggled with depression and anxiety; lost jobs; lost my father; been divorced; been at a negative balance in my check book; struggled with my kidney, allergies, asthma, and other medical issues. The God that I am speaking about is the God of all creation. He is the Alpha and the Omega. He is the Healer; Provider and Lover of my soul. Put your trust in Him. He hears you; He wants to guide you. I am sorry this is so long today. I just have so much on my mind and heart, and I just have a yearning for all those who don’t know my God to come to know Him. What would you tell someone who is struggling? Would you have the courage to share your stories with others to guide them to salvation or would your pride get in the way?